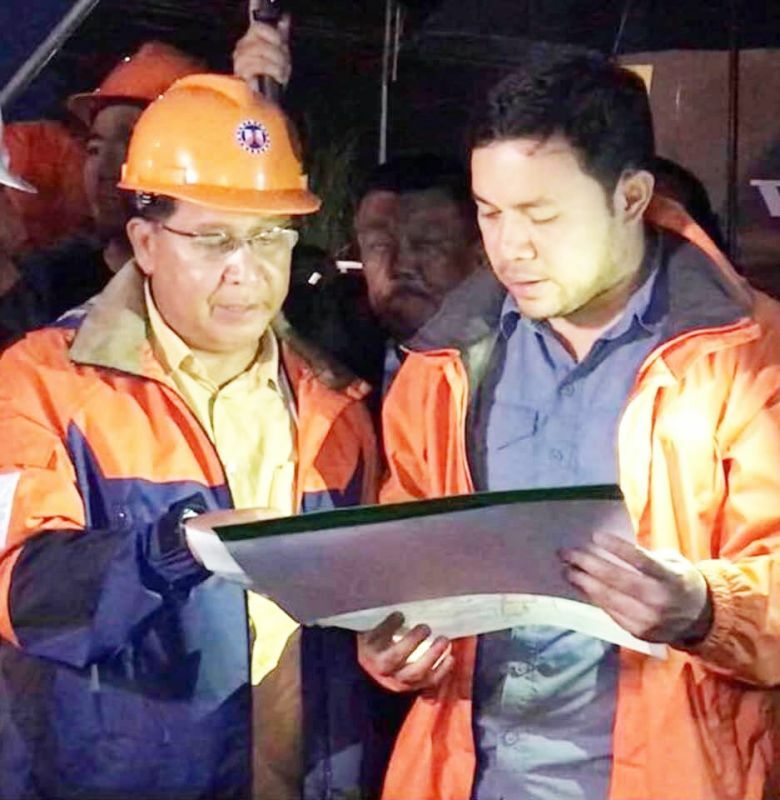 DPWH Secretary Mark Villar instructs DPWH-Central Luzon Regional Director Roseller Tolentino. Other photo shows the locations of Lakbay Alalay Post stations for Holy Week 2019 in Central Luzon. DPWH Secretary Mark Villar, through a memorandum dated April 11, 2019, instructed the District Engineering Offices (DEOs) in the region to mobilize teams that will provide motorists and pedestrians prompt and reliable assistance from April 17 noon to April 22 noon. DPWH-Central Luzon Director Roseller Tolentino said that 14 DEOs will be implementing several measures including the posting of proper signages and warning signs within clear and safe sight distance of all on-going construction projects. Directional signs are installed at conspicuous locations along national roads and on kilometer posts to provide guidance to the traveling public, Tolentino said. DEOs were also told to ensure that road sections are maintained and free from potholes and pavement markings are reflectorized to guide night-driving motorists. Tolentino said district offices are also directed to strictly implement Motorist Assistance Program and remove obstructions along the right-of-way of national roads and bridges. DPWH personnel are also tasked to install appropriate traffic advisory on specific locations and corresponding distances of ongoing construction and provide entry and exit points for alternate routes to bypass traffic-congested areas, he added. Tolentino said the agency will be deploying field personnel wearing prescribed DPWH uniform. The DPWH men will be deployed on a round-the-clock shift to provide assistance on emergency situations. Deployed personnel are also directed to coordinate with concerned government entities such as the Land Transportation Office, Philippine National Police and local government units. “There is a significant increase in the volume of motorists headed to major tourism, and pilgrimage and religious sites in Central and North Luzon either via Clark International Airport or our major road networks like the Maharlika Highway, Manila North Road and McArthur Highway and the numerous sections of the North Luzon Expressway, Subic-Clark-Tarlac Expressway and Tarlac-Pangasinan-La Union Expressway,” Tolentino said. Tolentino cited the various churches visited by pilgrims and devotees for the Visita Iglesia including the lahar-devastated San Guillermo Church in Bacolor Pampanga, and the Monasterio de Tarlac, as well as in other tourism destinations in the region. “Our offices must brace for the surge of traffic and assist motorists who may encounter any untoward incident during their travel and our staff are ready to assist them,” Tolentino assured.